This week we had the chance to interview one of our favorite Spoonflower designers, Micklyn. 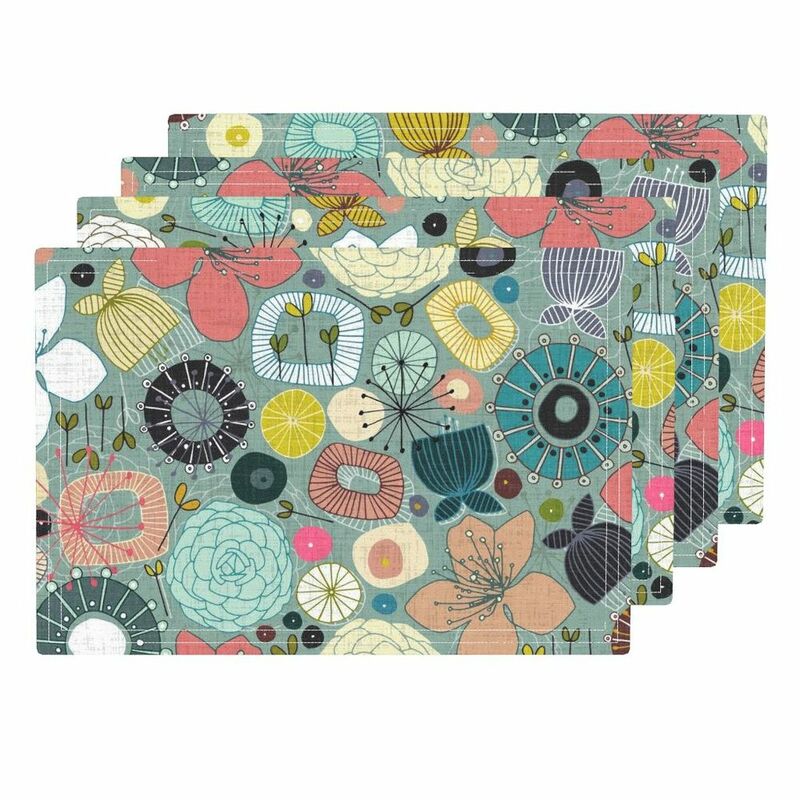 With a dynamic and diverse Spoonflower shop many of her designs seamlessly and beautifully transition onto Roostery home decor. Keep reading for her charming answers. Amarela cloth dinner napkins featuring "Rainbow Fuchsia Floral Painted Pattern" by Micklyn (left) Lamona cloth placemats featuring "Little Elephant on a Jungle Adventure" by Micklyn. 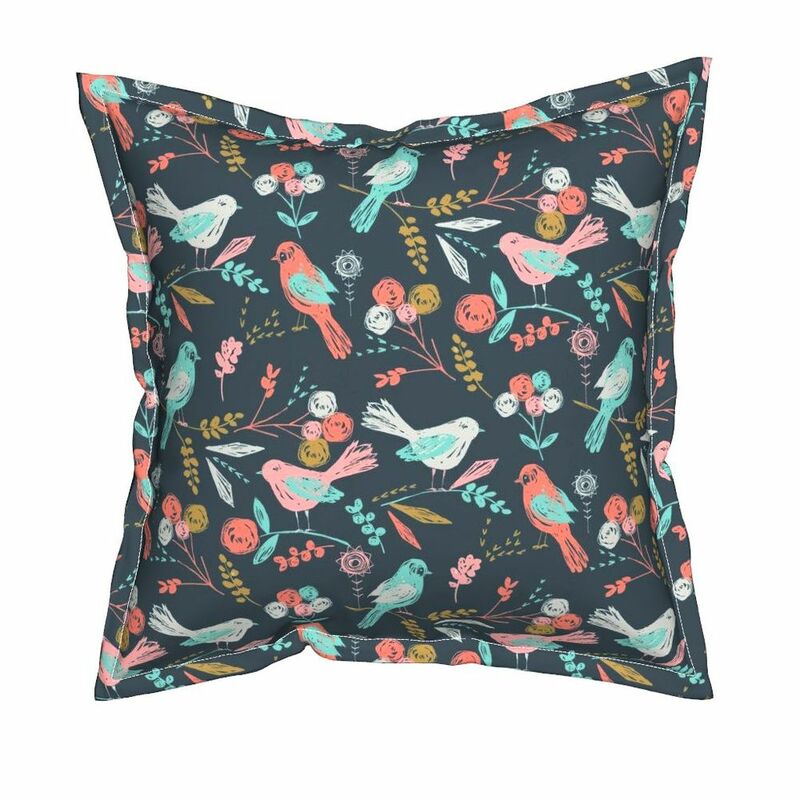 Are there any designers or designs on Spoonflower that you particularly admire? I am a huge fan of Esther Fallon Lau nouveau_bohemian, her color palette, her attention to detail, her whimsical illustrations–I find them enchanting. She has really amazing work. I also love the work of Sharon Turner Scrummy, Bethan Janine bethan_janine and LOTS of others. My personal aesthetic is fairly eclectic, I think, and I love color. Lots of color, lots of detail! Quite often I set out to try and do something ‘grown up’, toned down and sophisticated but my inner color addict just runs away with me and it generally ends up much more colorful than I intended… I just can’t seem to help myself! I also love floral and botanical patterns and animal illustrations. In my garden, in nature, in illustrated children’s books, in traditional and ethnic patterns, in random color combinations and odd juxtapositions of shapes and colors, all over the place, I guess. What is your favorite design tool? What’s your creative process like? If I had to pick just one, it would be a simple graphite pencil. Everything starts there for me. Having said that, I work in quite a few different mediums; pen and ink, watercolor, colored crayons and markers and with my Wacom tablet, scanner, camera and Photoshop. Quilt made out of Micklyn's fabric swatches by her mother. Which of your designs in your Spoonflower shop is your favorite? Wow, that’s a tough question… like asking which of my children is my favorite! I do like "Little Elephant on a Jungle Adventure - faded vintage version" I feel like it has quite a lot going on, but then I am a maximalist at heart and I love all the details. I also like "Rainbow Fuchsia Floral Painted Pattern" probably for the same reasons. Some of my earliest memories involve telling people I wanted to be an artist when I grew up. I studied fine arts after school and have always loved photography, painting and drawing. Can you tell us about your favorite, quirkiest, or most beloved possession? I really, really like my life and can’t imagine swapping with anybody! What is your favorite song to dance/sing to? Currently my favorite songs are Jon McLaughlin’s ‘Don’t mess with my girl’ (such a seriously cute, funny and sweet song!) and Sara Bareilles ‘I choose you’. I must be a romantic at heart.